Dr. Chung-Teh Lee, Elizabeth Pai and Luke Hung contributed to the World Bank Group's annual report "Doing Business 2019: Training for Reform". Lee, Tsai and Partners and Mayer Brown JSM co-authored and co-published the "Regional Guide to Employee Data Privacy - Asia. Lee, Tsai and Partners and Mayer Brown JSM co-authored and co-published the "Asia Employment Law Quarterly Review for the third quarter of 2018". Jaclyn Tsai accepted an invitation from Tunghai University Department of Business Administration Academic Forum to speak on "Legal Issues in Smart Retail" on December 8, 2018. Jaclyn Tsai accepted an invitation from the Taiwan Venture Capital Association to be the host of the "Trends and Future of the Blockchain" session at the 2018 Taiwan Start-up Investment Seminar Forum Discussion - the Blockchain event held on December 6, 2018. Jaclyn Tsai has been elected as an executive director of Spark Taiwan on December 1, 2018. Jaclyn Tsai accepted an invitation from the National Taiwan University College of Law student council to speak on the "Legal Philosophy of Government Policies in the Digital Era" on November 26, 2018. Jaime Cheng and Teresa Huang published an article titled " Technology M&A 2019" in Getting The Deal Through in November 2018. Jaclyn Tsai accepted an invitation from Fu Jen Catholic University Department of Business Administration to speak at the 16th Sound Corporate Philosophy and Value Creation seminar on "The Distributed Economy v(s). the Legal Environment" on October 20, 2018. Jaclyn Tsai attended the Security Token Future seminar in Hong Kong on October 18, 2018 and sat on the "Legislation of different laws for Security Token" panel as the moderator. Sean Liu and Sophia Tsai published an article introducing cybersecurity laws in Taiwan in the "International Comparative Legal Guide to: Cybersecurity 2019" in October 2018. 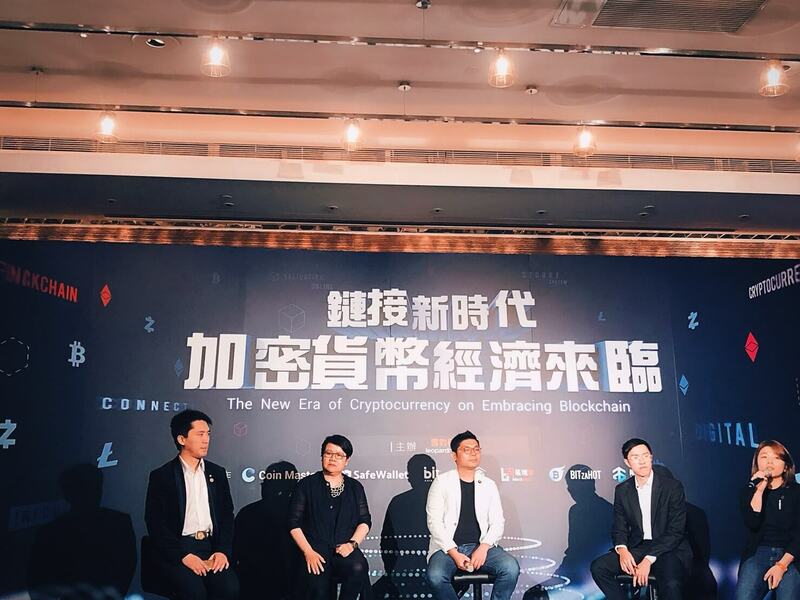 Jaime Cheng attended the "Security Token Future" seminar held at the Cyberport in Hong Kong on October 18, 2018. Jaclyn Tsai accepted an invitation from Legislator Jason Hsu to attend the "Blockchain Industry Self-Governance and ICO Information Disclosure Platform"." press conference on September 21, 2018 representing the non-profit group Global ICO Transparency Alliance (GITA) as one of its co-founders. 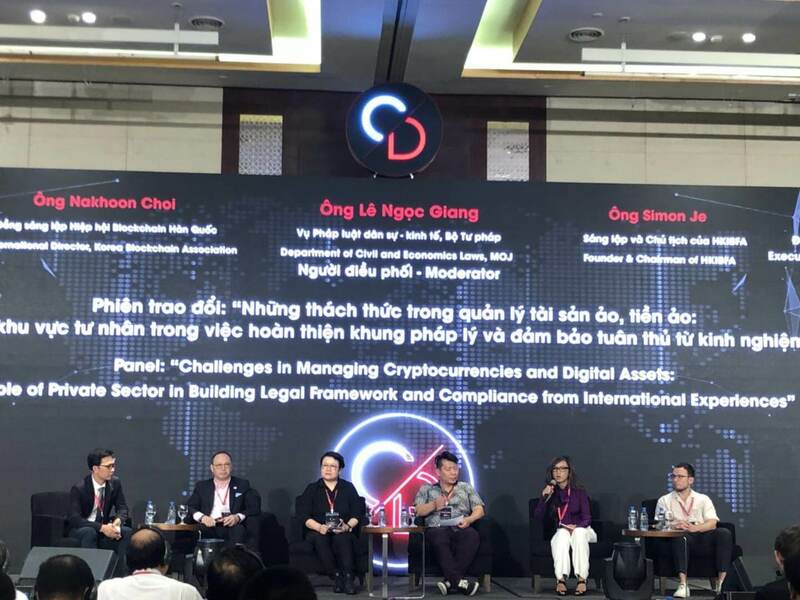 Jaclyn Tsai served as a panelist of the "Self-Regulation Panel" at the Vietnam Cryptocurrency Dialogue on September 16, 2018. Jaime Cheng attended the "Self-Regulation Panel" at the Vietnam Cryptocurrency Dialogue on September 16, 2018. Jaclyn Tsai served as a panelist on the "Discussion of the Current Forms and Status of Global Supervision" session at the 2018 Blockchain Innovation Summit on September 14, 2018. Mr. Trevor Soames of Quinn Emanuel gave a presentation on EU competition law issues at Lee, Tsai & Partners' Taipei office on September 11, 2018. Jaclyn Tsai was invited by Microsoft Taiwan to be a panelist on the "AI Ethics and Possible Social Impacts" at the Smart Future Summit on September 7, 2018. Jaclyn Tsai accepted an invitation from KNOWING News to speak as a panelist at its third "WHATs NEXT! 5G to the future" digital mobile industry summit. Sean Y.S. Liu was invited by the Taiwan E-Government Research Center to speak on "Blockchain Applications and the Protection of Consumers' Digital Rights" on August 17, 2018. Jaclyn Tsai accepted an exclusive interview from Business Next regarding "When the Blockchain Meets GDPR: Love or Hate on First Sight?"." on August 13, 2018. Lee, Tsai and Partners and Mayer Brown JSM co-authored and co-published the "Asia Employment Law Quarterly Review for the second quarter of 2018"." Lee, Tsai and Partners and Mayer Brown JSM co-authored and co-published the "Asia Employment Law Quarterly Review for the first quarter of 2018"." Jaclyn Tsai and Jaime Cheng attended the first Korea Blockchain Week held in Seoul from July 18 to July 20, 2018 and participated in the Meetup Day with Global ICO Transparency Alliance (GITA). Jaime Cheng and Teresa Huang published an article titled "Cryptocurrency Laws and Regulations in Taiwan" in the Asia Business Law Journal on July 13, 2018. Jaclyn Tsai accepted an invitation from Chailease Holding to speak on "The Business Mergers and Acquisitions Act and Cases in Practice" on July 5, 2018. Jaclyn Tsai accepted an invitation to be the moderator of the "Role of Governance in Asia" panel discussion on July 2 at the 2018 Asia Blockchain Summit. Jaclyn Tsai accepted an interview from CommonWealth Magazine on "Partying on the Tamsui - Creating the Tamsui River Life in Taipei" for its 37th anniversary issue. 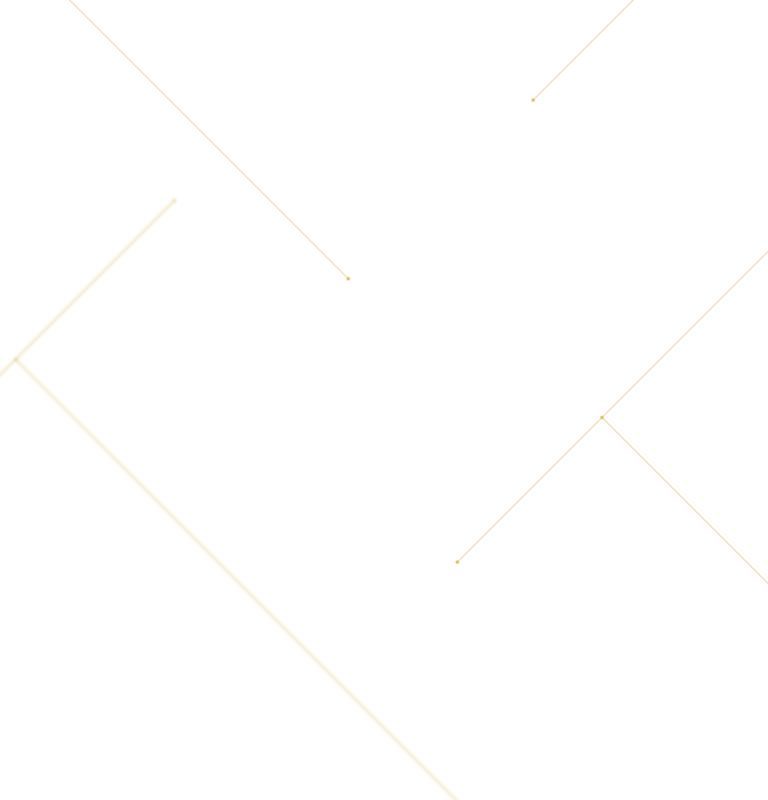 "https://www.cw.com.tw/article/article.action?id=5090566". Jaclyn Tsai was invited by Leopard Mobile to speak at the "Block-chaining a New Era - the Cryptocurrency New Future Forum" on May 29, 2018. Jaclyn Tsai accepted an invitation from the Association for the Future Studies of Yanmingshan speak at the "Block-chaining the Future Summit" on May 23, 2018. Jaclyn Tsai attended the founding reception of the Taiwan Crypto Blockchain Self-Regulatory Organization hosted by the Legislative Yuan on May 22, 2018 as the declarant for the new organization. Business Next news article (Chinese): "https://www.bnext.com.tw/article/49204/taiwan-blockchain-sro". Jane Tsai attended the "2018 INTA Annual Meeting" held in Seattle, USA on May 18 - 23, 2018. Teresa Huang was invited by CTBC Business School to speak on "The Role of Lawyers in Mergers and Acquisitions -- Behind the Contract Signing Ceremony" on May 8, 2018. [International Annual Conference] Jaclyn Tsai participated in the Madison Blockchain Summit held in Hong Kong on May 6, 2018. Jaclyn Tsai was invited by KNOWING News to speak at its second "HitFinTech" summit for the Taiwan digital FinTech industry on the topic "Policy Forum - How Could Legislation and Administrative Regulation Catch Up in Taiwan?" Lee, Tsai & Partners was invited by Chambers & Partners to contribute to the Taiwan chapter of the "Global Practice Guides: TMT 2018". Jaclyn Tsai spoke on "ICO Transparency Platform" at the Blockcast.it Showtime forum on April 21, 2018. Jaclyn Tsai was elected by the Taiwan Women on Boards Association as its Chairwoman and Association Affairs Committee Chair. 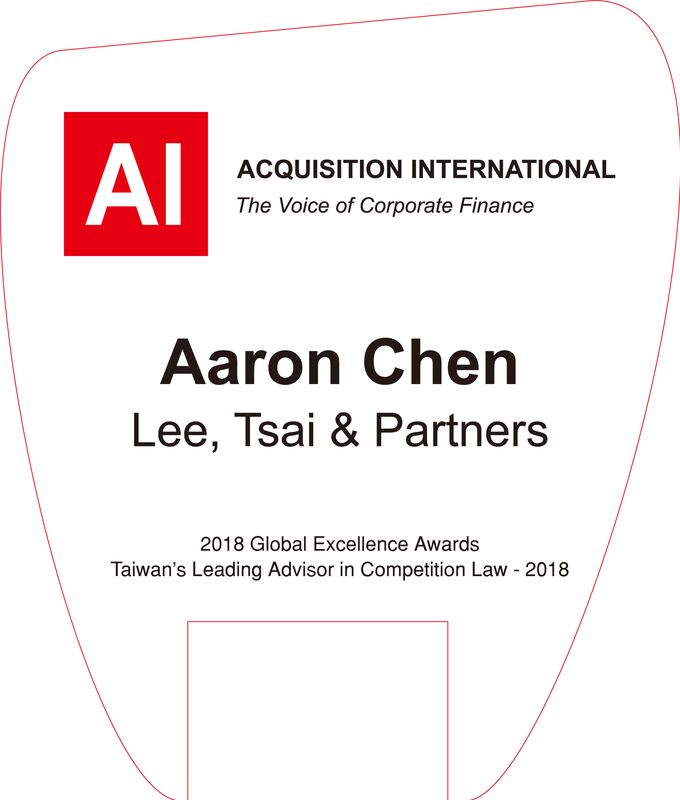 Lee, Tsai & Partners and Mr. Aaron Chen have been named by Acquisition International Magazine as “Taiwan’s Leading Advisor in Competition Law – 2018” in its 2018 Global Excellence Awards. Jaclyn Tsai was invited by TNN Today to speak on "Women's Great Communication Skills - Jaclyn Tsai's Thoughts on the Power of Women" in a live webcast interview on March 8, 2018. Sean Y.S. Liu was invited by StarRocket Foundation to speak on term sheets in start-up fundraising on March 7, 2018. Jaclyn Tsai was invited by the Lung Yingtai Cultural Foundation to speak on "When Technology Meets Law" in its Volunteers' Salon session held on March 1, 2018. Lee, Tsai and Partners and Mayer Brown JSM co-authored and co-published the "Asia Employment Law Quarterly Review for the fourth quarter of 2017". Jaclyn Tsai has been invited by Bayer Taiwan Co., Ltd. to speak on "When Technology Meets Law" at an intracompany seminar on January 19, 2018. Jaclyn Tsai was invited by the Taiwan FinTech Association to speak on "Guidance and Development for Innovative Experiments in Fintech" at the "Looking Forward to the 2018 FinTech Big Bang Summit Forum" held on January 17, 2018. Jaclyn Tsai was interviewed by the News Lens on January 5, 2018 regarding the Financial Technology Innovation Experimentation Act - "Taiwan Shines a Light in the Darkness with Fintech Sandbox"